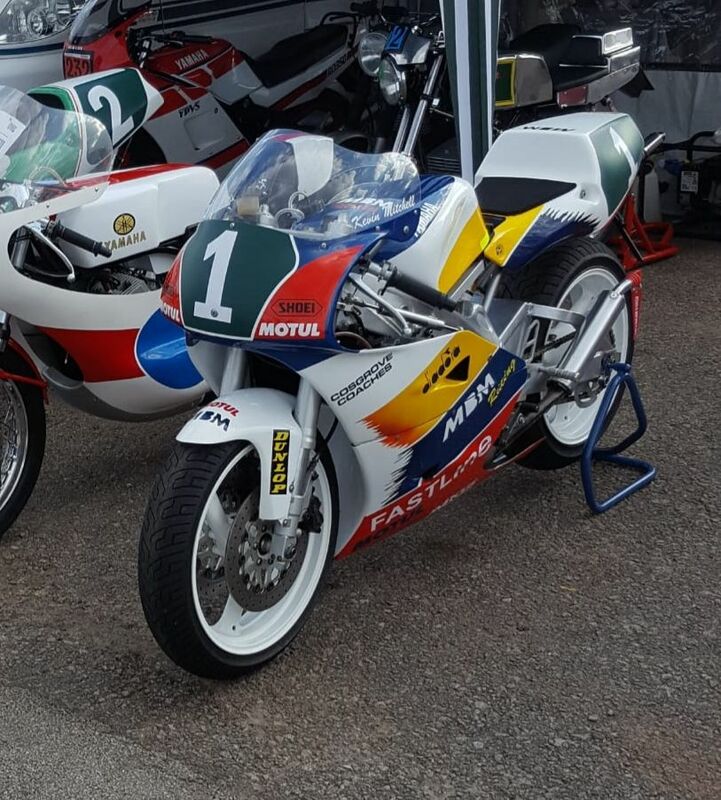 Fastline Superbikes would like to offer this outstanding 1993 Yamaha TZ250 4DP machine. Fully race prepared by ex GP 250, 500cc rider Kevin Mitchell. Been recently paraded this year by current BSSO champion Lee Bamber, doing 70 laps at Mallory and by current owner at Mallory in previous years and other events. No expense spared. Not just pretty to look at, but in full working order. Ridden by Kevin in 1993 at a few British and International races in between WGP commitments. 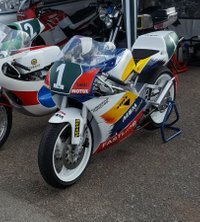 V twin 2 stroke GP race bike, lightweight, quick and ready to go either for race, parade or collection.